How can we realize our full potential? Is the answer found in the scientific approach and rigor of Western psychology or in the esoteric wisdom of the East? The answer lies somewhere in between. 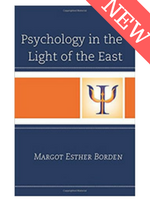 Click here to order your copy of “Psychology in the Light of the East”. 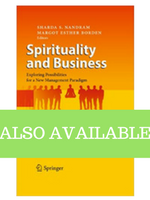 This book offers a comprehensive view of existing schools and further possibilities for psycho-spiritual development. Students and practitioners of psychology will find useful perspectives and resources for development and practice of an integral approach. Those seeking self-discovery and healing will gain a deep, holistic understanding, enabling them to choose a method and a practitioner to walk alongside them. Ultimately this is the story of the author’s search for truth—from the evolution of psycho-spiritual beliefs in East and West, to her own psychological development, spiritual growth, research and thirty years of clinical practice accompanying individuals in their quest. 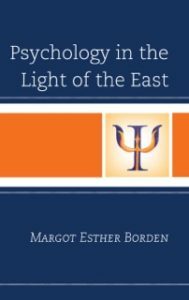 Margot Borden realized that the general perception and corresponding approaches to psychology were too limited. In some cases the full human element was missing and, in others, the spiritual. Eastern and Western models of Integral Psychology close this gap, offering wonderful and limitless possibilities. Psychology in the Light of the East conveys a vision of human potential and psychology that transcends the borders of East and West and opens the scope for a multi-dimensional, pluri-disciplinary and inclusive theory and practice for psychology. The reader is invited to go beyond current psychological scopes of treating symptoms or simple well-being, toward an invitation and means for transformation from ego to soul-consciousness. Psychology in the Light of the East is published by Rowman & Littlefield Publishers. ISBN-10: 1442260246. ISBN-13: 978-1442260245. Click here to order your copy of “Psychology in the Light of the East” now. Click here to view the video blog. Want to follow up with Margot in a personal counseling session?